I recently finished the book Catherine the Great by Robert Massie published in 2011 by Random House. What made Catherine the Great so great ? First, it starts with ambition. 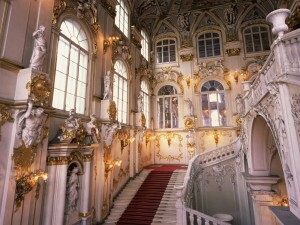 At 15, she left her native Germany and moved to Russia to marry Empress Elizabeth’s nephew Peter. Through all her struggles in learning a new language, culture and religion (Russian Orthodoxy forced upon her), and being with a young man who did not find her interesting or attractive, she persevered. She commented early on that ‘only you can make yourself happy or miserable, despite the circumstances’. She had a burning desire to become the ruler of Russia, so she prepared herself. She read voraciously (philosophy, political history and the sciences). She was never without a book. She eventually created Russia’s first national library donating over 38, 000 books. Her incessant reading made her wise beyond measure. Indeed, she was considered the most 'enlightened' monarch of all Europe. She forced herself to learn Russian by studying assiduously. 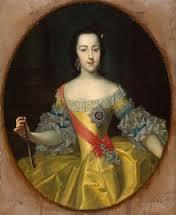 Her attitude, reading and open mind caused her to embrace her new culture; and in return, the Russian people embraced her, choosing her over her husband Peter to rule (also from Germany, who preferred not to study and adopt Russian culture as arduously as Catherine) . She never saw her father after age 15. Her mother departed shortly after she married Prince Peter. She sacrificed being with her family and all the comforts of her native country for a possibility to lead. Second to ambition, Catherine succeeded due to hard work. As ruler, she awoke early every day to start delving into work and typically finished at 10 or 11 pm (work included dinners with diplomats and formal entertaining on behalf of the realm). She always continued to educate herself alongside her work. She formed intellectually significant relationships with the most respected philosophers of her time such as Diderot and Voltaire, eventually acquiring their libraries. With such a powerful mind, she determined that she would raise the standard of living for all her Russian subjects. At a time when females were not educated, she formed the first schools for Russian girls. She created Russia’s first medical school and mandated that every province must have a doctor (revolutionary at the time). Due to her high intellect, she was able to push the country forward in ways that were ahead of her time. By inoculating herself and her son Paul for smallpox, she convinced the people that this was indeed a safe and smart preventative. She studied criminal law (and did indeed discourage and commute barbaric practices such as ‘racking’ during interrogations) and wrote a much respected guiding, general preface to laws called the Nakaz (at a time where the codes were unorganized and outdated) for the encouragement of a new set of laws. She called together a parliament style gathering of over 600 Russians (that she created) for this purpose. 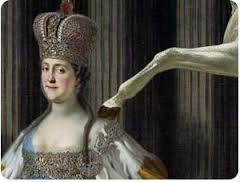 She expanded Russia’s territory immensely during her reign both by conquest and smooth negotiations. 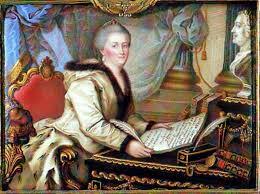 She was, at the same time, the most feared and respected autocratic ruler of Europe. Her military risks were calculated and well informed. While directing widely successful military strategy across the Turkish Ottoman Empire, she educated herself in the arts and architecture by consulting with talented artists and architects while accumulating an impressive art collection (the Hermitage) and the construction of masterpiece buildings and palaces that remain to this day. Catherine’s supreme governing ability was also accompanied by a generous heart. She led an effort to free the serfs (slaves) early on in her reign. She created avenues of redress for grievances of serfs to curb abuse and hold landowners accountable. It is a fact that eventually Russia (her grandson) freed its slaves two years before the United States did in Lincoln’s Emancipation Proclamation. When Great Britain repeatedly requested to contract for Russian soldiers to battle the colonists in the American Revolution, she resolutely refused to entertain such negotiations (so the British settled for paid German Hessian soldiers). This was her perfect opportunity to support monarchy over democracy, and she refused. Cream rises to the top. 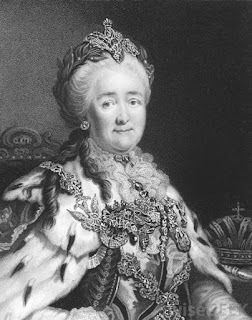 Catherine the Great brought a golden age to Russia in terms of education, medicine, conquests, the arts, and benevolent rule because she was wise. To be a great leader on a grand scale, one must certainly make a vocation of reading and accumulating knowledge. One must also cultivate a circle of intellectuals that knows no geographic bounds. The best of the best are the truly ‘enlightened’. Through knowledge, one’s heart becomes aware and one’s judgment refined. Greatness does not just happen. Truly great leaders live a lifestyle of benevolence towards humanity and an ever insatiable thirst for knowledge. Margaret Fuller said “Today a reader. Tomorrow a leader”. Catherine the Great is such an example.